This hoodie was a featured item in the May 2018 TMNT Box for fitting subscribers. 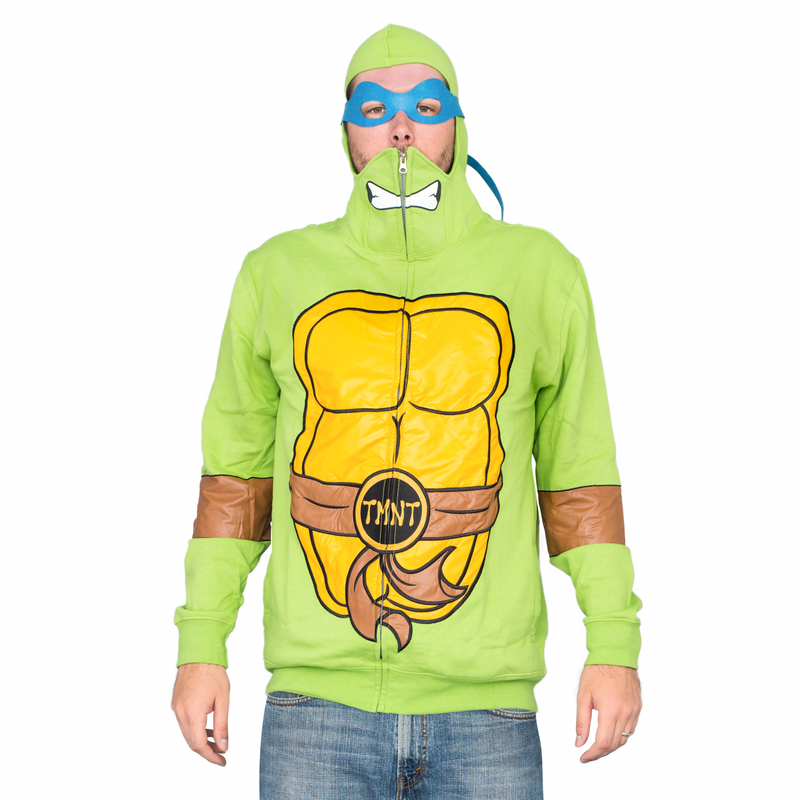 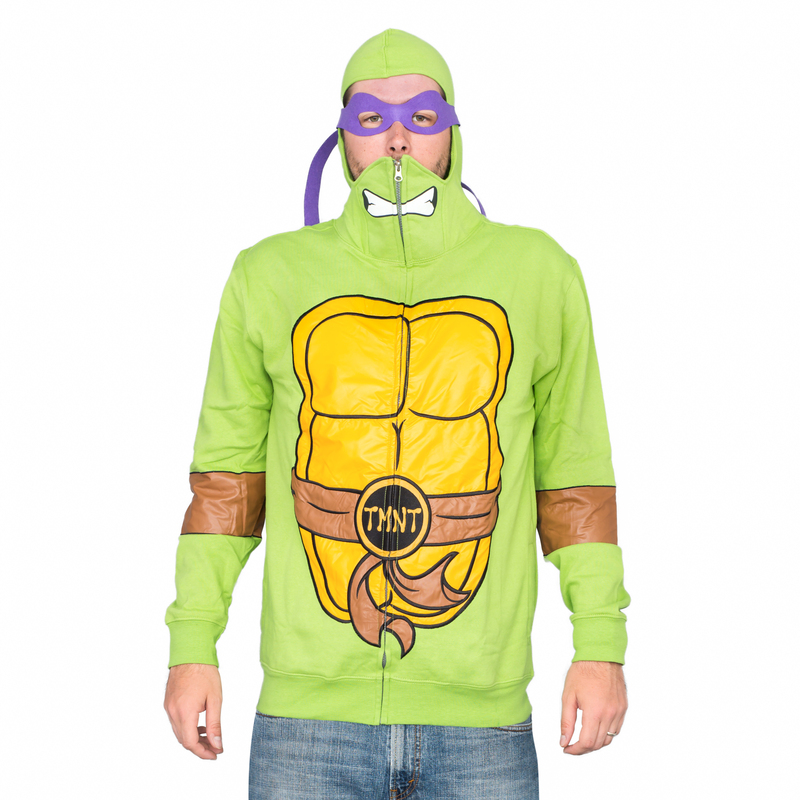 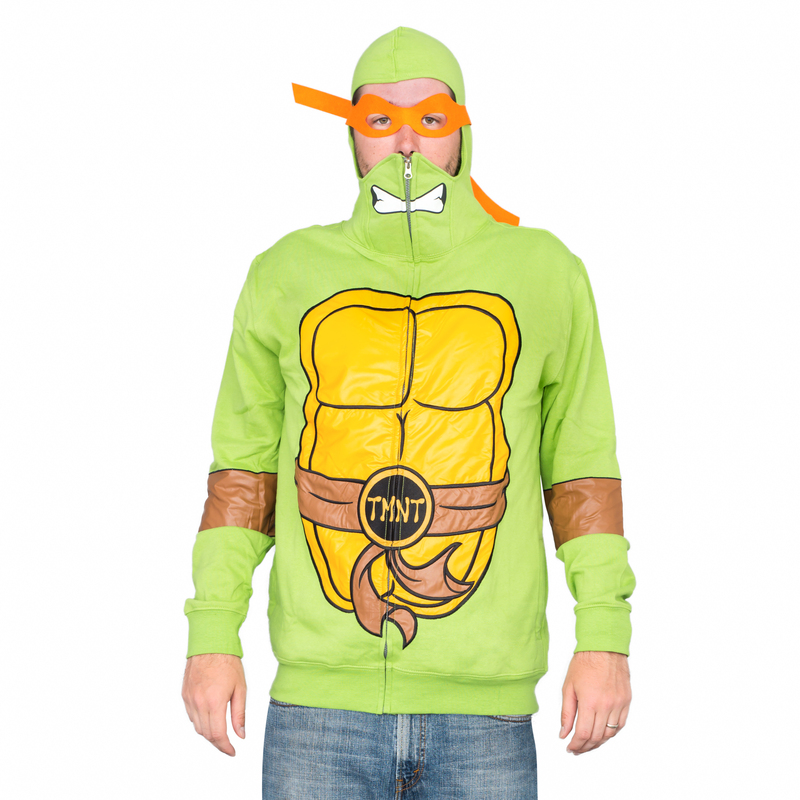 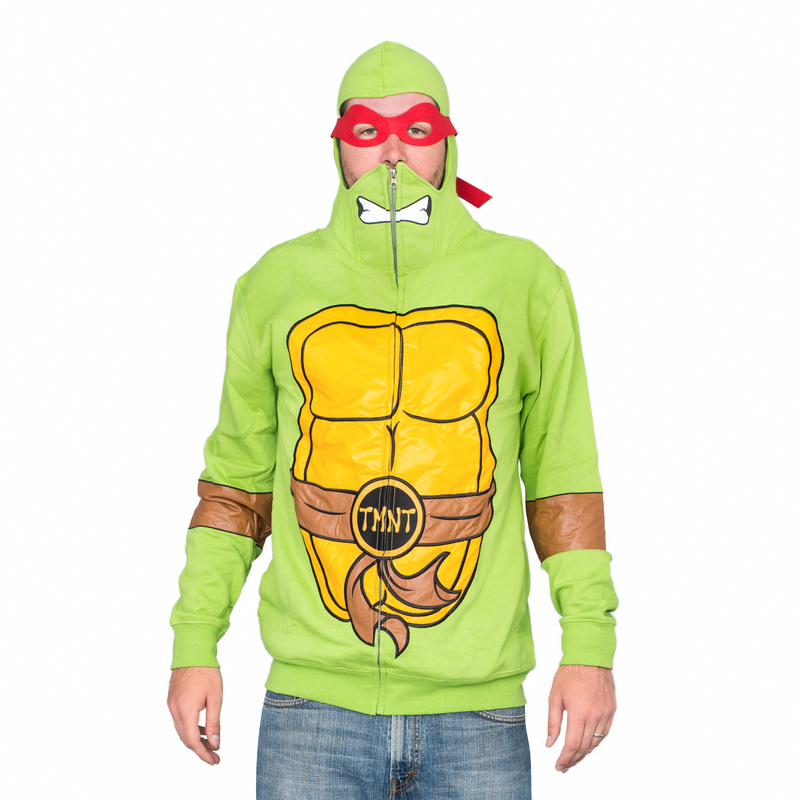 This hoodie comes with a complete set of 4 felt TMNT masks for costume wear. 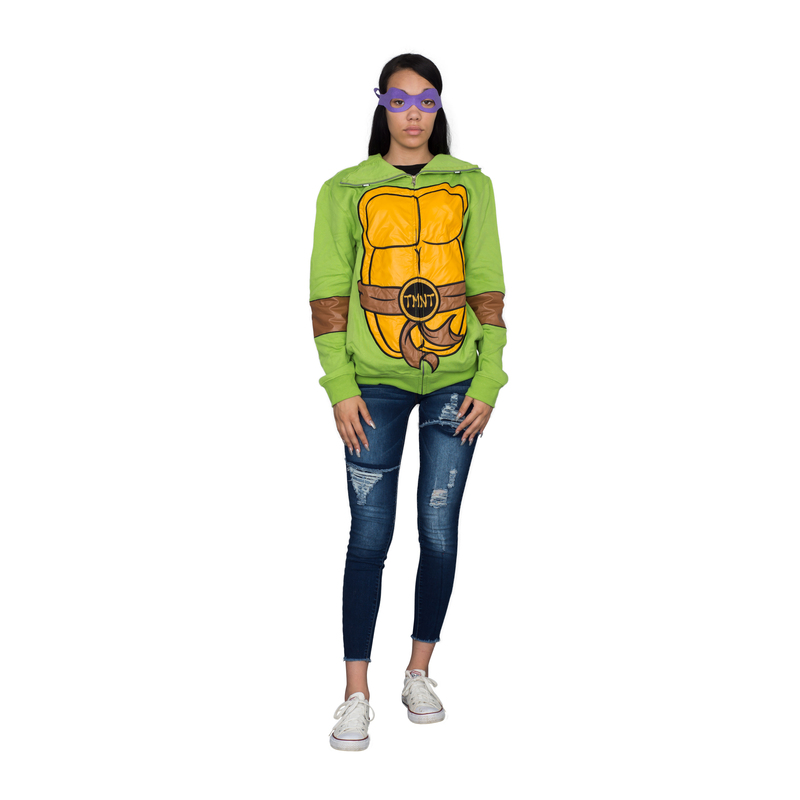 Intended for spring & fall casual wear as well as costume wear. 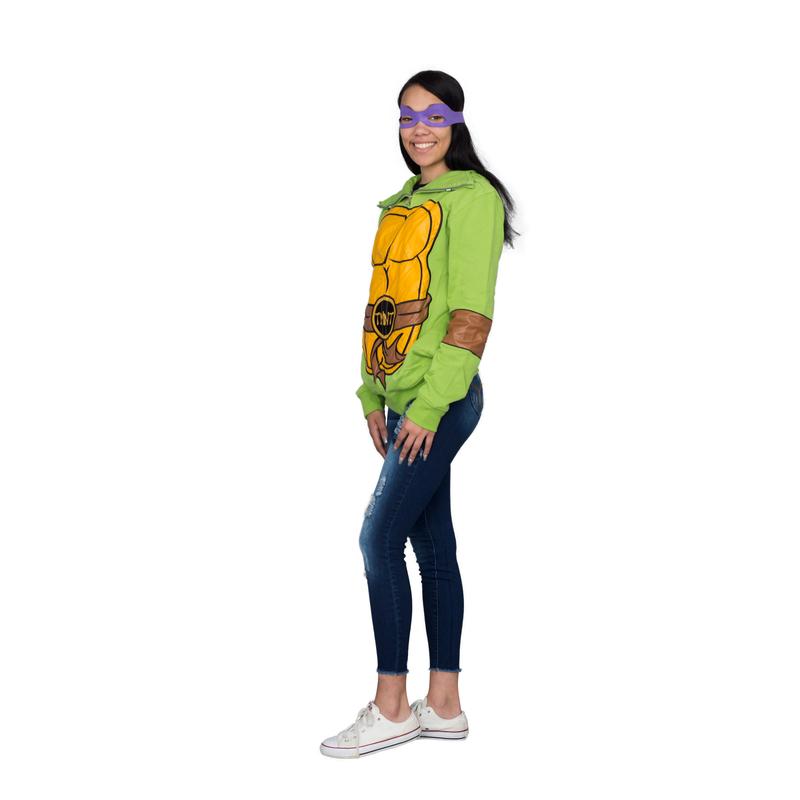 $35 value for just $13.50!